Likes: Moisturizes really well, cheap. Gripes: The tub is not very practical in the shower! 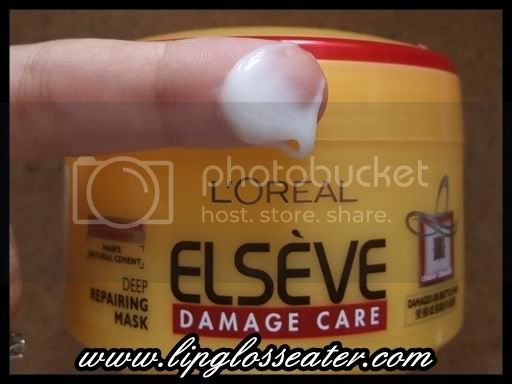 Elseve Damage Care Repairing Mask contains Cement-Ceramide, a replica for natural cement found in hair. Deeply replenished and nourished from root to tip, your hair is strengthened with long-lasting protection. Rediscover silky, supple hair! 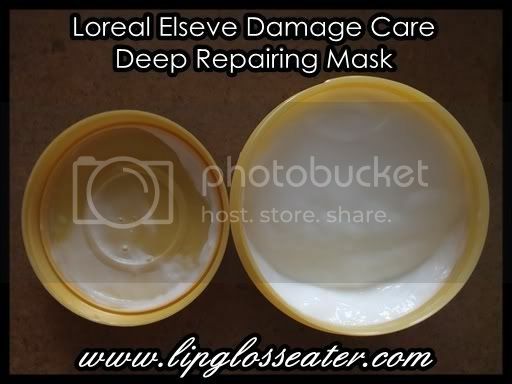 This hair mask comes in a plastic tub with a screw top cap, which i don't like because i use a shower and i have to be careful not to let water get into it! I'll have to be careful not to get any of the mask into the grooves of the cap, otherwise it'll leak when i tighten the cap! 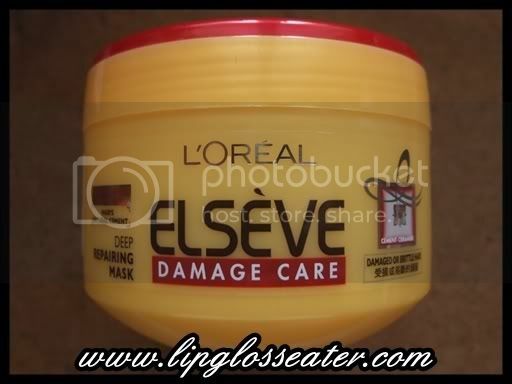 Do you use this mask after shampoo & wash it off with water or you let it stay on your hair?